I remember the day my 4th grade teacher slammed her relatively large textbook onto the brown, doodled up desk before her, “I cannot continue to feed you kids these repulsive lies,” her face scrunched in utter disgust. If our school system can harbor such dishonesty, and mask it with such false recollection of Christopher Columbus, I can only imagine what other secrets are being kept in that molding cabinet of theirs. That was the very day I began to challenge the idea of my race and what I choose to identify myself as. I am an American. Born and raised in the quite industrial Long Island City, New York. My skin is fairly dark with a hint of caramel dips. 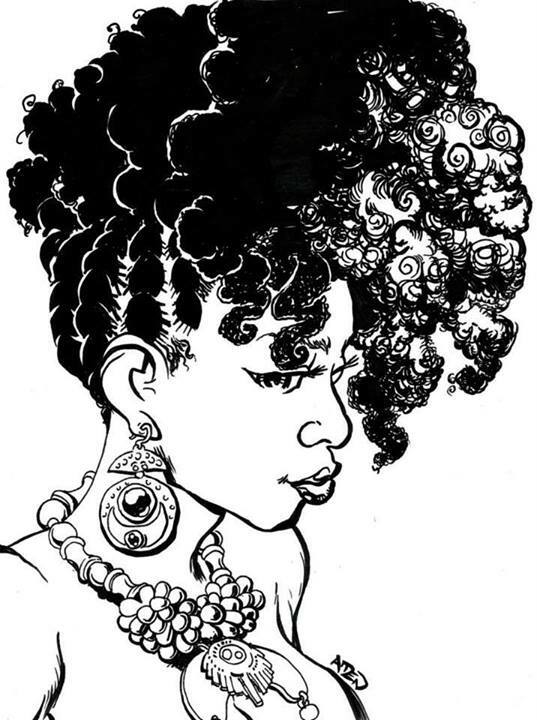 My hair – a relative 4C texture at best and my parents who are refugees from the western side of Africa. To be precise, they have traveled from a small country named Liberia to seek of refuge from the Civil War. So that would in fact make me an African – American. But what about the other inhabitants of this country? With the same complexion as mine? The ones forced to identify as African-American without any ties to the large continent. These questions have pondered my mind continuously, every single day. If they aren’t African-American then what are they? Indigenous? Considering the history of the natives who are indefinitely the founding fathers of many races after, it would only make sense. In all honesty, the choice of self-identification shares a wide variation, yet when completing a job application our limitations are singularly presented given the mini – squared box beside the boldly written African American ethnicity choice. What if there were no specific listing to what we decide to identify as? What if the ethnicity section of our job applications appeared as blank lines for us to express ourselves to our full extent? Did the natives claim the land? If they did, they did a terrible job of defending their claim. Don’t you wonder what they could have done better? And, even more important, what have we learned from their inability to keep their way of life and their culture intact, and why should we be concerned about those who might want to do to us what we did to the Native Americans? I do believe that inhabiting a land and creating a civilization, farming, establishing villages and having the unlimited freedom to speak their native language would definitely support the idea of claiming a land. However what Christopher did was invade the land and enforce restructure and renovation. What were the natives to do? You can’t bring a bow and arrow to a gun fight. Now to answer your other questions, I believe that blacks in America along with African – Americans all share this distinctive need to link themselves to certain things whether it be food, dancing or music. There is still this incedibly self evident fear of losing what was once theirs. The situation where the African slaves were sold and shipped here, is quite a similar tale to the natives, which is probably why cultural appropriation is such a huge issue now. Yet, as I stated in my article blacks in America almost never want ties to anything remotely tiptoeing around the continent, until braids and kente cloths are brought into the equation. But I’ll stop here. The major concern should be that history does repeat itself, often times in a confusing reversed spiral. So, if you cannot bring a bow and arrow to a gunfight, how about the guns of which the Native Americans had secured an ample supply from the British, and which were being used to settle their own internal differences? Did not Christopher Columbus have to FIND this land in order to invade it? What would have happened had the Native Americans found Europe first? I’m all for people finding their roots, and not shying from what they find. If I were a black American, I would indeed want to find my roots, and those roots would in all likelihood lead into the interior of Africa, where I would find that my tribe had lost to firearms-bearing Muslim Africans from the west coast of Africa who defeated them and sold them to enslaving Europeans. Indeed, that tale would match pretty precisely the tale of my own Scottish ancestors, whose small island lost over 60% of its citizenry to starvation when the English lord who owned the place decided it would be a dandy location to raise sheep — to the exclusion of every other kind of crop previously grown on the isle. Half of the starving remainder emigrated to America (and became, in your eyes, conquerors) before that English lord gave up on his dream of securing a firm place in the wool markets. The island is still sparsely populated to this day. In essence, my ancestors were losers — driven from a land conquered from them by a more powerful people. So, where does that put me? Everyone who came to America were losers in some fashion — by religion, by war, by race. Somehow, all of that has merged into some sort of consensus culture, which says (a) I’m not going to let any of that happen ever again to me or my children, and (b) those people doing X/Y/Z sound/smell/taste/look/feel good, and I like it and will use it myself, and nobody can tell me not to. So, what is “cultural appropriation”, and how does it relate to amalgamation and assimilation? When black musicians play, do they use octotonic, pentatonic, or heptatonic scales, and why does it matter? Do they eat pizza? Doughnuts? And if they do, who makes those pizzas and doughnuts? To put it bluntly, I don’t want much to do with Scotland either — it’s got weird laws which take away many of the rights we all take for granted here, and I expect that Africa is much the same. I enjoy the wearing of the kilt and so have quite a respect for those who want to wear braids or kinte cloth — a reminder of different times, and a link to the past. But if I like something here in America, I’m going to culturally appropriate it if it isn’t part of my culture already. Just be happy I don’t take much of a hankering to braids or kinte cloth. Native Indians did have posession of said manufactured weaponry, infact they were the first of many during the colonial period to master it and utilize its ability to hunt, and inevitably rid of their enemies, whether surrounding internal affairs or not. Your outlook is rather redundant of the natives position during the time. As explained continuously it certainly took Christopher quite some time to stumple upon the already occupied land, considering the superiority of the european ships, theres no surprise there. How would the natives have traveled over 4,000 miles to Europe, on a highly constructive canoe and the other altered forms of a sail boat? Not to take away from the fact that the natives were heavily resourceful and used their resources to their advantage. Now I admit my position on the matter may be flawed because I am simply expressing as far as I can remember, given my prior knowledge. I couldn’t care any less whether an individual wants to culturally appropriate or not. I can only speak on what I know. Now to revert back to my earlier statement on black Americans only wanting ties to Africa when it’s beneficiary, I won’t sugarcoat the truth and I’m sure it is the same for many other races and cultures out there. To explore a new culture is totally fine, just give credit when its due which is my stand point on the issue. It only becomes a problem when cultural appropriation is used in ignorance which is clearly self evident. If you aren’t willing to take on the whole package then it should be out of the question. What I’m pointing out by the “what would have happened had the Native Americans found Europe first” comment is that it wasn’t Christopher Columbus who was the cause of the subjugation of Native Americans — it was their lack of technology. Had the lesser technology people announced themselves, they would have saved Christopher Columbus the journey, but the result would have been the same. Cultures with technological advantage will subjugate all the cultures which surround them. Think about what happened when Commodore Perry’s Black Fleet appeared off the shores of Japan. The Japanese understood fully what those giant ships with impressive armament meant — and it completely reoriented their culture. What happened to them happened to the Native Americans, but without the learning aspect — the Native Americans made a fatal mistake (which the Japanese avoided) of not trying to understand the nature of their adversary. In less than 40 years, the Japanese acquired the necessary technology to defeat the Russians and to begin extending their own rule into less technologically advanced areas like Korea and Manchuria. As for you not knowing something — that is not an excuse — not when the Internet is at your fingertips. Use it and own in your own words what you discover. Don’t disparage yourself. You are doing quite well. Now, what is this “cultural appropriation used in ignorance”? Why should you, I, or anyone else give homage to some poor guy who invented the pizza, the doughnut — or the octotonic scale? Why take the whole package rather than just take the tasty bits and make them yours? That’s what any jazz player who uses the octotonic scale does. That’s what the Cambodians who are ubiquitous in the doughnut business have done. It’s not like they are copyrighted or patented or anything which requires that one put some disclaimer (“based on a work originally performed by some clueless but really talented bagpipe player in Scotland”) on it. Now, when your work is based upon copyrighted works by another, then you by rights should give credit where credit is due, and pay the piper so to speak. Here, I’m not talking about culture but about something more immediate. Was that “cultural appropriation” or “intellectual appropriation”. Did the artist use the look she paints from African culture, or did she develop something new and unique — which was then appropriated by those who made the movie? Now, you notice the spin on the type of pizzas from Ny and Chicago. I get it – it’s harmless, but because of such inventions, not only are they ripping away the traditional value of the substance, but is forcing its disorientation. Now pizza is everywhere, spaghetti is everywhere, which is culturally the biggest misconception yet. Many forget that the popular Italian dish is of Asia descent. Do you see where I’m chiming at here? Cultural appropriation deals with many great misapprehensions especially surrounding the article you presented. It explains that the woman did infact refuse involvement with the project, yet her art work was stolen and used regardless. Not quite sure if this is the best case to use for the verification of your assertion, but I would love to restate how it solidifies mine. Yes, Black Panther was made to propel the image of black excellence in the entertainment industry, now it defeats the purpose if the proper way to do so is to steal the art work of another African – American woman. The film and the situation as a whole is certainly a case of cultural appropriation, but the directors of said film exemplify the correct turn to take when testing the waters of appropriation. The film does a great job at paying its homage to the many African tribes that it was influenced by. That is all I have to say on the matter. You sir, are one strong cookie to crack.